The islands of Tuvalu are a long way from Uganda, where Ronald Achidri was born and received his medical training. Ronald served as a doctor in Uganda for two years and in South Sudan for four years, specializing in strengthening health systems and the implementation of HIV and tuberculosis (TB) programmes. Now, he is supporting the Ministry of Health of Tuvalu as a UN Volunteer. Dr. Achidri uses his knowledge and skills to help people affected by TB in Tuvalu have access to care, support and proper treatment. The desire to prevent deaths from infectious diseases like TB and HIV/AIDS in vulnerable groups brought Ronald across the world. Through volunteerism, Dr Achidri has used his knowledge and skills to help people affected by TB in Tuvalu and ensure they have access to care, support and proper treatment. He has helped to scale up HIV testing and counselling among key populations as well as offering preventive treatment and services both at the health facilities and through outreach sessions. 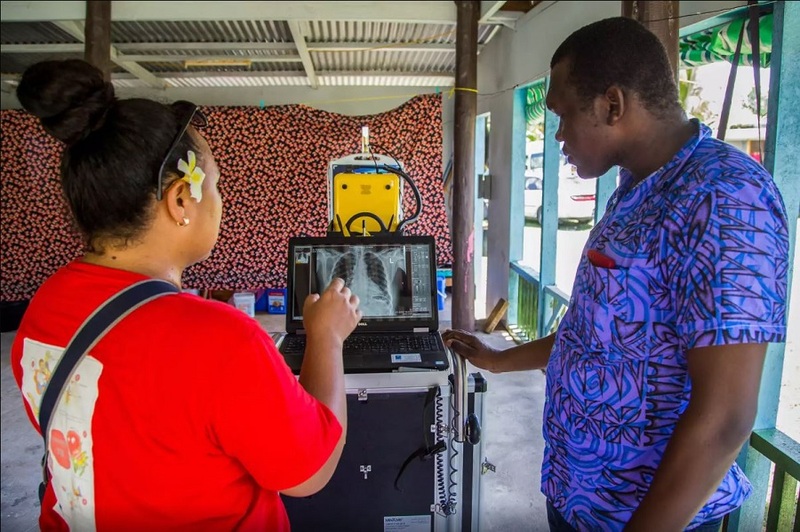 Together with national TB doctors and the local community, Ronald has helped to perform tuberculosis active case finding, contact tracing, early treatment and provision of directly observed treatment, short-course (TB-DOT), to decrease the incidence and prevalence of tuberculosis in Tuvalu. Leaving no one behind in the fight to end TB means ensuring access to TB treatment and care for the most vulnerable and at-risk people. Local communities and volunteers play a vital role in supporting patients to stay on treatment. UNDP and the Global Fund, through the Ministry of Health, are partnering with volunteers from the Tuvalu Red Cross to ensure people are supported during the often gruelling, but life-saving, treatment regime. "I support the Ministry of Health in the control of TB and HIV by working with and training community health workers, initiating and implementing preventive approaches, and treating patients," he explained. "Professionally, I am learning skills to manage TB programmes in a different context," UN Volunteer Doctor Ronald Achidri shares. "For example, one of the highest risk factors for TB in Africa is HIV. Here in Tuvalu, HIV prevalence is low, but diabetes prevalence is high, so I am learning how to control TB in this environment." The Pacific is the region hardest hit by non-communicable diseases, and death and impoverishment from them disproportionately affect poor and vulnerable populations. Many people affected by non-communicable diseases are among the same ‘missing cases’ of TB, as people continue to go unreached, undiagnosed and untreated. UNDP is working in partnership with the Government of Tuvalu, the Global Fund and others to address TB and non-communicable diseases, ensuring people can live healthier, more productive lives.